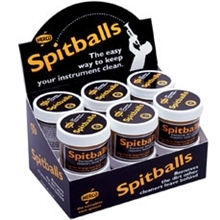 Herco spitballs for trumpet, cornet, french horn and small bore trombones. Simply place in leadpipe and blow! Cleans the grunge from your horn between full cleanings.